These are the words that describe the atmosphere and philosophy of Spondi. 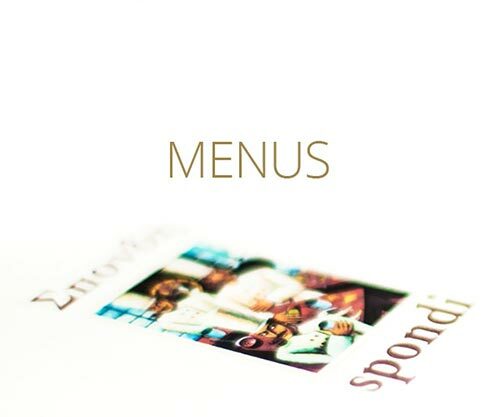 Created by Apostolos Trastelis in 1996, Spondi Restaurant is now a point of reference in the country. Our food is prepared with the freshest of products, and thus the menu changes according to the seasons and, of course, the creative imagination of our chef. He treads skillfully between creativity and tradition, modernity and classicism. He delights the eye with artful presentation and the mouth with exquisite flavors touched by a hint of exoticism. Such food, served impeccably, deserves an appropriate atmosphere, elegant and stylish, which Spondi, a member of the prestigious “Les Grandes Tables du Monde” is proud to offer. Our chef Angelos Lantos and his team are creating unique tastes, combining flavors, aromas and colors, honoring at the same time French traditional Haute Cuisine.